Price® Pump Company is a premier manufacturer of Centrifugal and Air Operated Diaphragm (AOD®) pumps with over 84 years of experience. 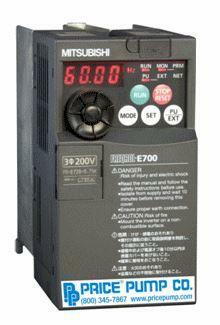 We specialize in addressing the needs of specialty applications for industrial and OEM users. Our world-class engineering support, customer care and standard 2-year warranty, will provide you with a pump that meets your needs. Let us develop a pump for you! Price Pump offers a line of magnetically driven centrifugal pumps in stainless steel materials. The models in include: MS-MD, HP-MD, CD-MD, CL-MD, XT-MD and XL-MD. Throughout the line there are options of open, semi-open and closed impellers, giving the ability to pump a large amount of different liquids and cover much of the performance curve. Price pump offers a large range of close-coupled centrifugal pumps with 12 different models and over 125 unique models. Pumps are made with mechanical seals and offered in stainless steel, cast iron, bronze, hastelloy and multiple non-metallic materials. Different types include self-priming, single stage end suction and multistage pumps. They are offered with NPT or ANSI flanged connections. They are ideal for applications in chemical transfer, filtration, wastewater treatment and many more. Price pump offers numerous vertical close-coupled centrifugal pumps. Pumps are made with mechanical seals and offered in stainless steel, cast iron, and bronze. They are ideal for applications in chemical transfer, filtration, wastewater treatment and many more. Price offers a line of air-operated double diaphragm pumps in non-metallic (polypropylene and PVDF) and metallic (aluminum, cast iron, and stainless steel) versions, ranging from 1/4″ up to 3″. They offer elastomer materials of Neoprene, Buna-N, Viton, Teflon, Santoprene and Nordel. 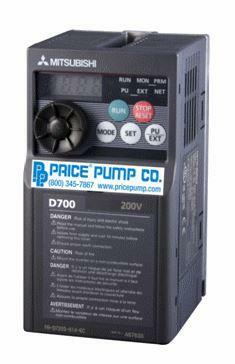 The D700 Series is the latest generation of low cost micro sized variable frequency drives for centrifugal pumps offered by price pumps. Vector control capability in a micro drive – delivering outstanding performance for your centrifugal pumps.